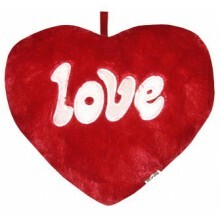 Love Heart - Red Color Love Heart, Red Color - 24cm Note: NEXT DAY DELIVERY available, if the delivery address is in PROVINCIAL AREA. SAME DAY DELIVERY- if the delivery address is within METRO MANILA Your purchase includes a complimentary personalized gift message. 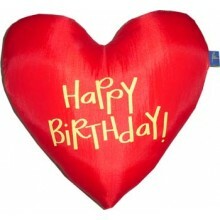 Birthday Heart Note: NEXT DAY DELIVERY available, if the delivery address is in PROVINCIAL AREA. SAME DAY DELIVERY- if the delivery address is within METRO MANILA Your purchase includes a complimentary personalized gift message. 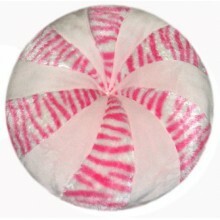 Candy Pillow 12" Diameter by Antics Collection Available Colors: Pink, Blue Note: Actual design & color may vary depending on the availability. Note: NEXT DAY DELIVERY available, if the delivery address is in PROVINCIAL AREA. SAME DAY DELIVERY- if the delivery address is within METRO MANILA Your purchase includes a complimentary personalized gift message. 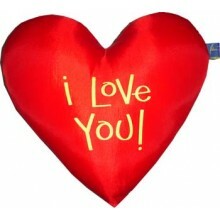 Love Heart Note: NEXT DAY DELIVERY available, if the delivery address is in PROVINCIAL AREA. SAME DAY DELIVERY- if the delivery address is within METRO MANILA Your purchase includes a complimentary personalized gift message. 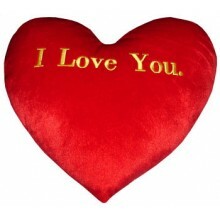 Love Me Red Heart Big - 30cm Note: NEXT DAY DELIVERY available, if the delivery address is in PROVINCIAL AREA. SAME DAY DELIVERY- if the delivery address is within METRO MANILA Your purchase includes a complimentary personalized gift message. 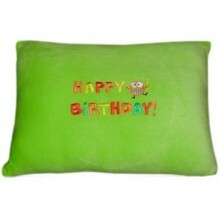 Nap Pillow w/ "Happy Birthday" by Bear Huggs Available Colors: Lavander, Orange Size: 14" x 11" Note: Actual design & color may vary depending on the availability. Note: NEXT DAY DELIVERY available, if the delivery address is in PROVINCIAL AREA. SAME DAY DELIVERY- if the delivery address is within METRO MANILA Your purchase includes a complimentary personalized gift message. 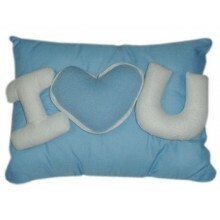 Nap Pillow w/ "Happy Monthsary" by Bear Huggs Available Colors: Lavander Size: 14" x 11" Note: Actual design & color may vary depending on the availability. Note: NEXT DAY DELIVERY available, if the delivery address is in PROVINCIAL AREA. SAME DAY DELIVERY- if the delivery address is within METRO MANILA Your purchase includes a complimentary personalized gift message. 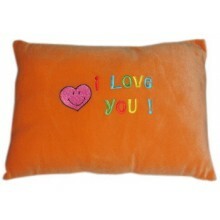 Nap Pillow w/ "I Love You"
Nap Pillow w/ "I Love You" by Bear Huggs Available Colors: Lavander, Orange, Cream, Green Size: 14" x 11" Note: Actual design & color may vary depending on the availability. Note: NEXT DAY DELIVERY available, if the delivery address is in PROVINCIAL AREA. SAME DAY DELIVERY- if the delivery address is within METRO MANILA Your purchase includes a complimentary personalized gift message. Precious Heart - Large Size by Blue Magic Note: NEXT DAY DELIVERY available, if the delivery address is in PROVINCIAL AREA. SAME DAY DELIVERY- if the delivery address is within METRO MANILA Your purchase includes a complimentary personalized gift message. 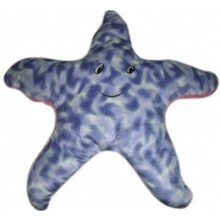 Starfish Pillow 22" Diameter Available Colors: Yellow, Blue Note: Actual design & color may vary depending on the availability. Note: NEXT DAY DELIVERY available, if the delivery address is in PROVINCIAL AREA. SAME DAY DELIVERY- if the delivery address is within METRO MANILA Your purchase includes a complimentary personalized gift message. 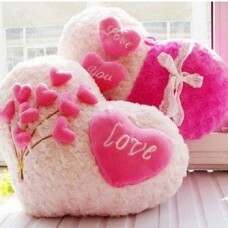 Wesley Heart Shape Pillow by Bear Huggs Available Colors: Red, Green, Blue, Pink, Lavander Size: Medium - Heart Shape 18" Note: Actual design & color may vary depending on the availability Note: NEXT DAY DELIVERY available, if the delivery address is in PROVINCIAL AREA. SAME DAY DELIVERY- if the delivery address is within METRO MANILA Your purchase includes a complimentary personalized gift message. 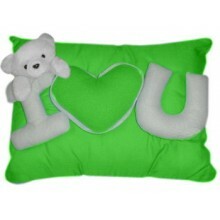 Wesley Pillow w/ I Love You by Bear Huggs Available Colors: Red, Green, Blue, Pink, Lavander Size: Small - Rectangular Shape 12" Note: Actual design & color may vary depending on the availability. Note: NEXT DAY DELIVERY available, if the delivery address is in PROVINCIAL AREA. SAME DAY DELIVERY- if the delivery address is within METRO MANILA Your purchase includes a complimentary personalized gift message. 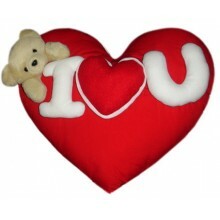 Wesley Pillow w/ I Love You & Bear by Bear Huggs Available Colors: Red, Green, Blue, Pink, Lavander Size: Large - Rectangular Shape 20" Note: NEXT DAY DELIVERY available, if the delivery address is in PROVINCIAL AREA. SAME DAY DELIVERY- if the delivery address is within METRO MANILA Your purchase includes a complimentary personalized gift message.